The #BattleOfKatipunan is one for the books. It was a night of victory for both the Ateneo Blue Eagles and the UP Fighting Maroons. 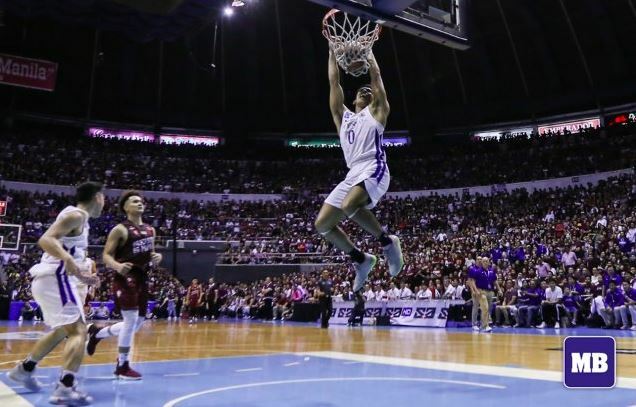 Though the successes were different—Ateneo bringing home their back-to-back men’s basketball title and UP capping off their impressive run this season—both teams showed why they were worthy of a spot in the finals, nonetheless. ICYMI (which is unlikely because everyone was talking about it offline and online), here are the best moments from last night’s game. Thirdy Ravena posted a career-high of 38 points, 18 of which were made during the final quarter. In under 33 minutes, he collected six rebounds, six assists, and three steals. His stellar performance earned him the season’s UAAP Finals MVP title. Woke students will always find ways to express themselves. They were no different last night, amidst the tension-filled atmosphere before and during the do-or-die game. While we’ve seen this banner before when the Fighting Maroons were looking to book their first Finals ticket against the Adamson University’s Soaring Falcons, it still made us smile, if not laugh. For the second straight year, the Blue Eagles clinched the UAAP Season 81 men’s basketball title. With a score of 99-81, the win was a clean sweep of the best-of-three series against the Fighting Maroons. They showed aggressive offense and defense to keep the crown in their turf. Fighting Maroons team captain Paul Desiderio,, was emotional as he sang the university hymn, “UP Naming Mahal,” along with some of the team’s graduating seniors. Desiderio ended his six-year, #AtinTo stint in the UP men’s basketball team through bringing the team to its first final appearance in 32 years. What’s the best moment for you from the game?